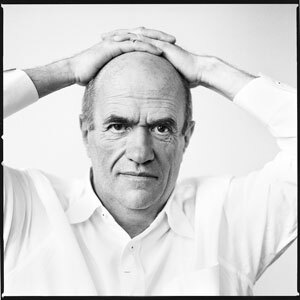 Acclaimed Irish writer Colm Tóibín is the author of nine novels, two collections of stories, is a regular contributor to The New York Review of Books and a contributing editor at the London Review of Books. He has been shortlisted for the prestigious Man Booker Prize three times for his novels and The Testament of Mary was nominated for a Tony Award for Best Play in 2013. He was born in 1955 in the town of Enniscorthy, in the south east of Ireland. After studying at University College Dublin, he lived in Barcelona for several years, before returning to Ireland to work as a journalist – his varied feature articles and travel pieces collected in books including Bad Blood: A Walk Along the Irish Border (1987) and The Sign of the Cross: Travels in Catholic Europe (1994). Major international success arrived with his novel The Blackwater Lightship (1999), which earned Tóibín his first Man Booker Prize shortlisting. His fifth novel, The Master (2004), which depicts a period of author Henry James' life, repeated that feat, along with winning a slew of other international awards. Since then, his novels Brooklyn (2009) and Nora Webster (2014) have also met acclaim and The Testament of Mary (in novel form, 2012) became his third book shortlisted for the Man Booker Prize. Tóibín is known for his generous, intelligent and humorous presence at writers' festivals and in interviews. Sample a few such interviews below or, for more information on the inspirations for The Testament of Mary, pick up one of our printed programs at the theatre. Tóibín reads an extract from the novel of The Testament of Mary and discusses its writing in detail in this book club podcast from The Guardian. Tóibín visited Sydney Writers' Festival in 2010 and was interviewed by Caroline Baum at City Recital Hall. In this highly engaging podcast from Penguin, Tóibín and Richard E Grant discuss Tóibín's novel Brooklyn and its recent movie adaptation (directed by John Crowley, director of STC's The Present).